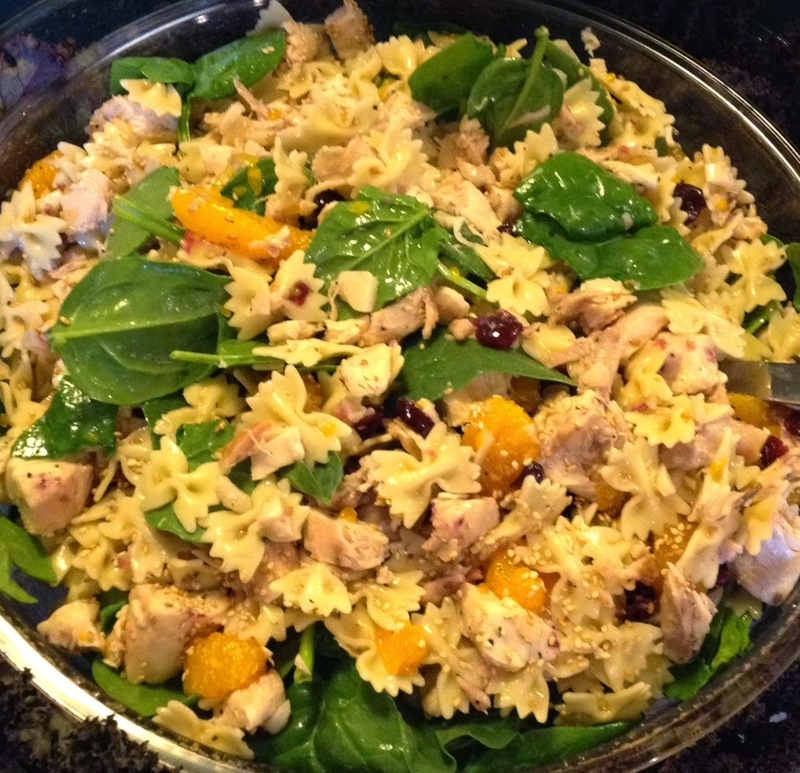 One of the most asked for recipes I have ever received, is this Asian Bow Tie Pasta Salad. We first came across the recipe when we were visiting and helping cater a friend’s birthday party. From time to time, I have omitted the chicken, and just had a pasta salad. I have also allowed my lazy self to use a pre-bottled Toasted Sesame Salad Dressing. No matter how you cut it, this salad is a winner! Thank you Mary-Margarita for sharing this wonderful recipe with me, and the world. Marinate chicken in teriyaki sauce over night. Cut into bite size pieces, cool. Blend dressing and cook pasta al dente. Allowed cooled pasta to rest in dressing for 2 hours before adding other ingredients. Toss all ingredients, serve immediately. Bob's Note: If not serving immediately, leave out spinach, and add when read to serve.